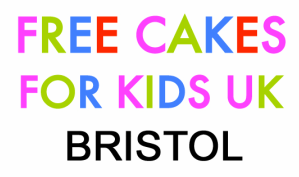 At the heart of Free Cakes for Kids - Bristol are individual birthday cakes. Put simply, we match two parties: families in need and passionate home bakers. The cakes are made by local volunteers, who also pay for the ingredients themselves. While most Free Cakes for Kids volunteers are amateurs, they enjoy baking and decorating cakes that often even accommodate the child’s favourite theme or style. Recent examples include a butterfly cake, a Peppa Pig cake and one featuring Mickey Mouse. Families can call themselves to request a cake or are referred to local groups by partner organisations. We have built strong networks in our community and work closely with organisations like the Young Carers, foodbanks and social services. Sometimes we also bake cakes for other occaisions when there is deemed to be a real need, for example we have baked a 'Get Well Soon' cake for a mum from her children. But what difference does a cake make? - Having a cake made only for yourself makes you feel special and appreciated. - You have something to share with your friends, so they come over for a party. - Bakers and families get in touch, check for food allergies, arrange a hand-over and work together on a common challenge. - We get to work within our communities and have become integral parts of the social infrastructure. In other words, there are many ways to make a difference – one cake at a time. Where did Free Cakes For Kids come from? The first Free Cakes for Kids group in the UK was founded in December 2008. Having read about a similar project in the U.S., Henriette Lundgren adapted the model to her local community and set up the first Free Cakes for Kids group in Oxford. Since then the group has grown steadily and helped many others start their own community groups. As a result, the word spread and more and more groups began to bake under the Free Cakes for Kids UK banner. They are now active in more than 40 communities across the UK, including Bicester, Cardiff, Sutton, Hackney, Newcastle, North Leeds, Wallingford, Milton Keynes and Ballymena. Most importantly there is one serving our community in Bristol and South Gloucestershire. Responding to the growing number of inquiries for information and support, the Free Cakes for Kids UK Network is currently being established as a collaborative effort. While every group is responsible for its own activities, we all operate under the same name. The network therefore supports local coordinators through mentoring and meetings, ensuring our key values of safety, confidentiality and community spirit. At the moment, the Free Cakes for Kids UK Network does not have funding of its own and relies 100% on the time and energy of volunteers.